Click here to download Issue Fifteen for your e-reader! The collection can be found on Amazon.com by searching for Whereabouts: Stepping Out of Place, or by clicking here. 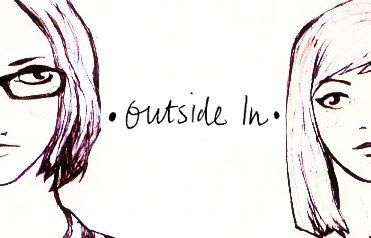 In other exciting news, we are very happy to congratulate Outside In contributor Daniel Gabriel, as his fantastic story, featured in Issue Fourteen of Outside In, of a youth spent hitchhiking the world (way more than Jack Kerouac) was picked up by Matador Network. If you missed it in Issue Fourteen, check it out on Matador here. There have been two fantastic additions to our editorial team as well: Rosa Lia has joined us as Assistant Nonfiction Editor and Shenan Prestwich has come on board as Assistant Poetry Editor. Our Microjourneys man, Ope Olum’degun, has also taken on an additional role as Assistant Fiction Editor. If you would like to get involved with the team, reach out to me at editor@outsideinmagazine.com and we can discuss what opportunities may be available. There are other exciting projects in the works, but we’re so happy about our submissions for this, our first quarterly issue, that we simply can’t wait any longer to let you dig in. We celebrated this issue with the Fort Collins Home Brew Supplies to make our own beer! Oh and maybe bought a few beers too. In our fiction section, Khanh Ha brings us a story of prostitution and photography in Vietnam, André M. Zucker guides us through a strange encounter in a Manhattan bar, Sam Tranum tells us about an unemployed journalist at a Kolkata book fair and Xenia Taiga creates a culture clash in China. We also have stories of madness and music, suicide and soy beans, from Africa, Asia, Oceania, North America and Europe. This quarter’s poems lead us from the small — a toilet in South Korea in “Not Exactly What You Were Looking For,” or a pair of shoelaces in “Laces” — to the broad landscape of Seville or a village on Sulawesi Island in Indonesia. Nonfiction takes us to Dharamasala with Madeline Chu, to his grandfather’s Morocco with Robert Boucheron, and to Turkey with Holly Morse-Ellington, among a dozen other places and authors. And, of course, the Microjourneys in this issue flash us, quickly, into tiny spots around the world. We hope you enjoy these literary journeys as much as we do. Click here to get started! ← Issue Fourteen: The Best Collection We’ve Seen! Very excited for the whole Outside In community. Congratulations! I look forward to the new issue. See you in D.C. at the book launch!